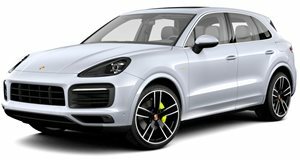 Just this week, Porsche finally lifted the wraps off the long-rumored Cayenne Coupe to cash in on the lucrative coupe-SUV craze. But what about the next-generation version of the regular Cayenne? Looking ahead, AutoExpress reports that the next-generation Cayenne could be a fully electric model, just like its smaller Macan sibling. Porsche has already outlined its initial EV plans. Its first fully electric model, the Taycan, will debut in September and launch later this year, followed by the more practical Taycan Cross Turismo wagon and the next-generation Porsche Macan, which will launch in 2021. Now, pressure from markets such as China is prompting Porsche to consider launching more electric models, including the next-generation Cayenne. A final decision has not been made yet, however, as it could depend on how solid-state battery technology develops by 2025. An all-new Cayenne is still several years away, but if a fully electric version is approved it will be built as a dedicated EV with no gasoline or plug-in hybrid versions offered. "When we do a fully electric car it has to be designed purpose-built for electromobility, like the Taycan. I’m not a fan of doing everything in one car because our vehicles are high performance and to achieve that with multi-purpose powertrains it is not possible,” Porsche CEO Oliver Blume told the publication. However, Porsche could still sell the current Cayenne alongside the next-generation electric version, which will be built on an all-new platform, since some markets won’t be ready to transition to EVs by the time the model launches. Porsche has the same plan for the Macan, as the current model will still be sold alongside the electric version when it launches in 2021. Blume added that Porsche plans to offer combustion-powered, hybrids, and fully electric versions for all its models in the next decade.